This article provides a few practical tips on how to save battery power your Android phones and tablets. Android phones and tablets are becoming essential tools not only for business and commerce, but also for entertainment and communication. It seems that every month, there’s a new model that is more efficient or more powerful than previous ones, and people can’t seem to get enough of these modern gadgets because of the convenience that they offer. In addition to making texting, emailing, and calling so much easier, these are now also commonly used for taking notes in school or creating unique projects or presentations. Even very young kids today have tools of their own that they can use not only for learning, but also for amusement. When using an electronic gadget, whether it’s for school, work or just for fun, what features are most important to you? Are you more into efficiency, memory or performance? What about clarity or screen size? These factors are definitely essential considerations, but don’t forget the battery. You need to have a reliable battery because any high-performance gadget is nothing without electricity or its battery. It’s only been three hours since you recharged, but then the “low battery” signal is appearing or you notice that your screen is growing dimmer. If you’re sure that there is nothing wrong with your gadget or its battery, which you can verify through an expert, then you might be wasting power in some way. To save energy and to prolong battery life, here are a few tips to consider. Most of the time, products, especially electrical gadgets and batteries, go through stringent tests done by experts, like Professional Testing Inc. Such tests help in ensuring that electricity-powered devices are safe and are of excellent quality. Since different manufacturers use different types of batteries, make sure that you understand the basic care for the specific type of battery that you have. The power saving mode reduces battery usage through various methods. A gadget utilizes different ways to save power, such as by decreasing the brightness of the screen or by disabling feedback and data network while it is not in use. If you have need of your android phone or tablet at various times during the day, it’s best to choose the power saving mode to make sure that your device will last longer. When in use, there are a lot of sources that can drain your battery. These include pop-up ads, which you could unknowingly download with free games, and social networking apps that make connection requests, including Facebook and Twitter apps. To reduce battery consumption, know what you are downloading and schedule app alerts or requests. Minimized apps still consume power, which is why it’s not a good idea to leave apps running in the background. To save battery, exit apps that you are not currently using rather than leaving them idle for a long time. Use apps that can help increase battery efficiency. 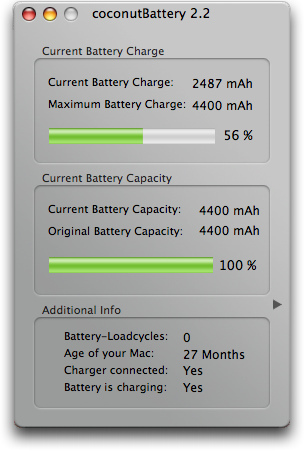 Battery Defender and the Battery Drain Analyzer are just a few examples. The first can help you determine how much power you still have left. As for the second example, this can help you in determining what sort of applications are soaking up your gadget’s power. There are various apps that can help you become more economical and efficient particularly when it comes to battery usage, and you can check Google or iTunes to find out what’s best for you. If you need to be on silent mode but you want to be immediately alerted when there are incoming calls, texts or emails, then you might choose to activate your gadget’s vibration feature. This isn’t a good idea because it can quickly drain your battery. This blog post was contributed by Claire Lance. She is a freelancer and a techie who likes to blog about modern gadgets.